Droppings remain separate and do not adhere together, even when deposited on top of each other. This dropping was photographed at a facility at Lincoln University where stoats are held for captive research. The tapered ends of the droppings are clearly visible. 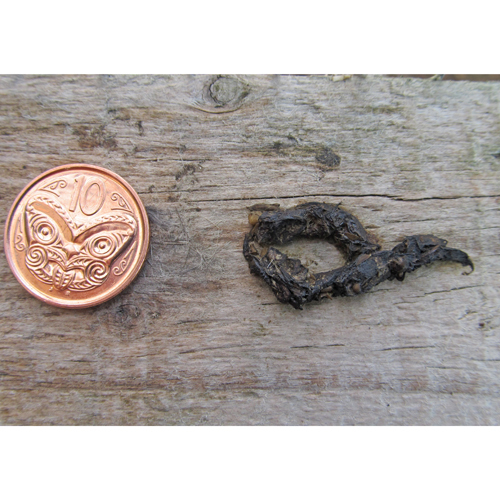 Often the wild stoat droppings look darker.